When BMW set out to create its flagship car, the German automaker spared no expense. Every detail of the 7 Series is thoughtfully executed, and expertly crafted to the highest standards that only BMW can claim. First introduced in 1977, the BMW 7 Series is available in a sedan body style, and features the most up to date technology and innovation. For its latest model year, the 7 Series receives new updates and an expanded lineup for 2015. Drivers who are seeking top of the line luxury, can look no further than the BMW 7 Series sedan. The 2015 7 Series features state of the art technology, that leaves it lightyears ahead of other luxury sedans on the road. The 2015 BMW 7 Series is a true example of where luxury and performance meet, and the sedan delivers each one exceptionally. The BMW 7 Series has unique features that make it stand apart from all other vehicles in its class, including a luxurious rear executive lounge seating package. Every detail surrounding the all new 7 Series has been meticulously planned, and the result is nothing short of magnificent. There is no question that the BMW 7 Series exemplifies classic luxury in every way. What the sedan also represents, is the newest innovation in technology. 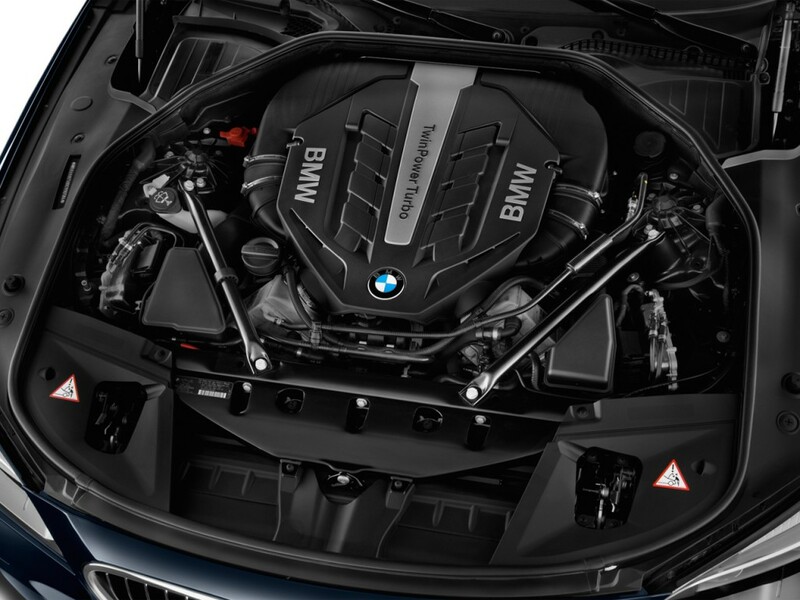 BMW engineers went to extensive lengths to ensure that the 2015 7 Series utilized the newest technology in every possible facet. The BMW Display Key is the newest display of the German automaker’s advanced in-vehicle technology. The remote control features a unique LCD touch screen that allows drivers to stay in control of their vehicle, regardless of where they are. The advanced touch screen provides drivers with fuel status, estimated driving range, service reminders, and much more. Locking and unlocking doors, opening and closing windows, and checking the time are all at your fingertips. The BMW Display Key can be charged on the wireless charging pocket that comes standard on the 7 Series, and is located in the front center console. For the first time ever, the 2015 7 Series features a removable tablet that helps the driver stay in complete control. The removable 7-inch Touch Command Tablet serves as the driver’s controller for comfort, convenience, and luxury features incorporated into the 7 Series. The navigation system, entertainment functions, and climate control, are all simply a touch away. Another advanced technology that has been incorporated into the 2015 7 Series sedan, is BMW’s iDrive 5.0 with Gesture Control. This system is the only Gesture Control system in the world to be offered as a standard in-vehicle feature. Drivers can control various elements of the cabin with five simple hand gestures, making getting behind the wheel of a 7 Series Sedan both intuitive and convenient. The 2015 BMW 7 Series is without a doubt, paving the way for the luxury sedan segment. Featuring more luxurious features, and ultimate power and performance, the 2015 7 Series has everything you need. With two trim levels to choose from, each with its own engine option, the 7 Series sedan is a performance-minded machine. The 7 Series 740i Sedan features a 3.0-liter inline 6 cylinder engine that achieves 320 horsepower, and 330 lb.-ft. of torque. This powerful engine is capable of reaching a speed of 60 miles per hour, in only 5.4 seconds. The high-end 7 Series 750i xDrive Sedan features an even more powerful 4.4-liter V8 engine that gets 445 horsepower and 480 lb.-ft. of torque. The 7 Series 750i xDrive leads its class in acceleration time, as it is able to go from 0 to 60 miles per hour in only 4.3 seconds. Other performance-minded innovations such as Active Comfort Drive with Road Preview, a 2-Axle Air Suspension, and xDrive, help make the 2015 7 Series a staple in on-road power and performance. The 2015 BMW 7 Series is without a doubt, one of the most luxurious sedans on the market. With standard Dakota leather upholstery, a panoramic sky lounge LED roof, and and all-new removable 7-inch Touch Command Tablet - the 2015 7 Series sedan is as luxurious as any sedan can possibly be. The 10-way power adjustable driver’s and front passenger’s seat features a 4-way power lumbar support, and a memory system for the driver. High-gloss Fineline Wood trim adorns the interior cabin, while a black panel center console is perfectly complemented with brushed aluminum controls. Drivers and passengers alike will be completely pampered by every hand-crafted detail that the 7 Series incorporates, for a truly incredible driving experience. The 2015 7 Series offers a list of optional packages to further ensure a luxurious, performance-filled ride. Discover the highlights of those packages below. Rear Executive Lounge Seating Package - Passengers can stretch out in this optional rear lounge that features extravagant comfort, and convenience, for a private refuge from everyday life. Interior Design Package - Luxury rear floor mats, Alcantara headliner, and fine wood inlays adorn the cabin in this luxurious design option. Seat belt outlet covers, a rear center armrest, and rear roof grab handles complete the refined interior look. Ambient Air Package - Breathe deeply knowing that your air has been filtered to the highest standards. Advanced ionization technology allows for eight different fragrances to be added into the air. M Sport Package - Bring your 7 Series into the high-performance ring, with this exciting performance-enhancing package. An M aerodynamic kit enhances both the front and rear bumpers, and drivers will enjoy the edgier, sportier, feel. Every aspect of the all-new 2015 BMW 7 Series has been thoughtfully executed, and the result is nothing short of perfection. Drivers and passengers will enjoy every attention to detail that has been incorporated into the exterior, interior, and under the hood of the luxurious 7 Series Sedan. With two trim levels to choose from, those who are seeking to drive one of the most luxurious sedans on the market, will surely find the perfect match for their lifestyle and preferences.